Want a creative way to ask that special lady to prom? Want to sweep her off her feet, without being overly cheesy? And best of all, want to do it without spending a fortune? Well then read on for a simple, sweet, surefire way to get that cutie to go to prom with you. 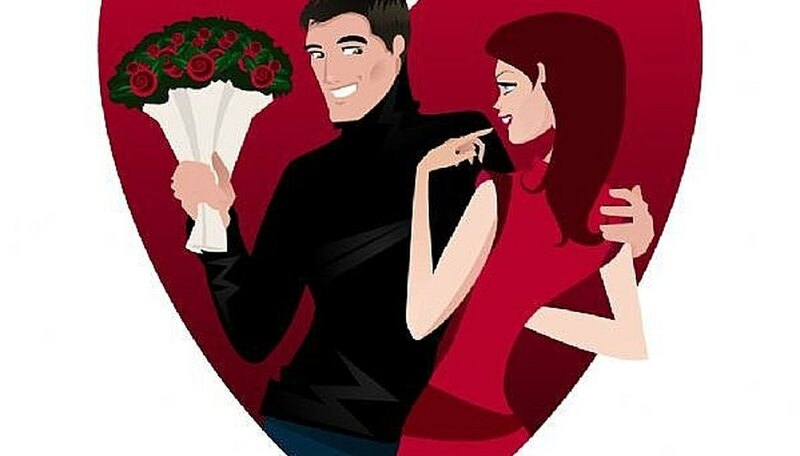 If you don't already know, find out what your crush's favorite flower is (the fact that you know this will impress her all the more). If you want to be sneaky don't ask her upfront, get her best friend to ask her, or find out from one of her family members. In the morning, before you go to school buy 7 of those flowers if possible. Otherwise buy them the night before and keep them in water and in a cool area, like the garage or basement. This will keep them as fresh as possible. Attach one note to each flower with the words "will", "you", "go", "to", "prom", and "with". If you want to make it fancy write it on some cute stationary and attach the notes with ribbon. You might want to get your mom or sister to help you. The day of, bring in the six flowers in a vase (to keep them fresh) to the office. Talk to the secretary and let her in on your plan. Tell her you need someone to deliver one flower to your girl during each one of her class periods. Make sure whoever is delivering them understands that they have to be delivered in the correct order. If you don't have six class periods you can double up on a class, giving her one at the beginning of the period and one at the end. Or you can have someone deliver her one during lunch or a break. You want to make sure though that by the end of the day she has all six flowers making the sentence "Will you go to prom with...". By then she'll be going crazy wondering who the "me" turns out to be. Meet her at the end of the day with the last (7th) flower. Either catch her coming out of her last class, or meet her at her car or ride home. Put on your most charming smile, hand her the last flower, and wait for her to say yes :). Make absolutely sure that the secretary or whoever is delivering the flowers understands what to do, as your plan working out depends solely on them being able to carry out the task. Write out instructions if you must. If you can't find out her favorite flower, or the flower isn't in season or you can't find it anywhere, go for roses instead. Play it cool throughout the day. If you are good friends with her, act just as surprised as she is when she gets each flower. Speculate with her as to who it could be. Play up the suspense and mystery. Be prepared to get some friendly heat from the other guys. You've set the bar pretty high, Cassanova. Contributor. "How to Romantically Ask a Girl to Prom." Dating Tips - Match.com, https://datingtips.match.com/romantically-ask-girl-prom-4723029.html. Accessed 19 April 2019.